Your zodiac sign sais you have certain characteristics and moods. Depending on your sign you will experience different predispositions to different health problem. So it would be logical that your alimentation can be determined by following what is recommended to your sign. If you are one of the nonbelievers in zodiac signs you should do some research first. Check out your sign and see how what is there matches your lifestyle. Check out the signs of some of your loved ones and see how these match up with your imagine of them. Maybe you will become a believer. Who knows. I am an Aquarius and I must say that some stuff matches and some doesn’t. But it was a fun trip reading about my sign and I took all the good stuff because it was really cool. The bad stuff I analyzed it, most wasn’t there, so I disregard it. 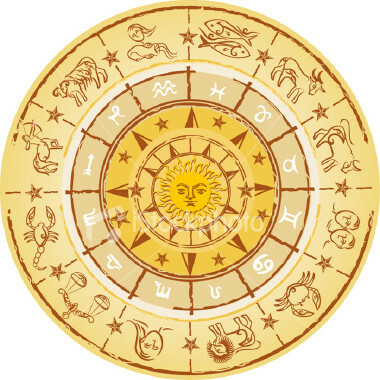 If you read your zodiac horoscope daily than this articles will be to your liking. You will learn how to diet and what to eat accordingly to your zodiac sign. Pretty cool if you ask me. There are 4 elements that govern the zodiac signs: fire, water, air and earth. The 12 zodiac signs are split into these 4 categories. We all go up and down in life. Sometimes we feel the help and beneficial influence of our signs and sometimes we feel we get no help form out zodiac sign. If you want to balance your life you should start with eating more healthy food and exercising more. There is a correspondence between the 12 zodiac signs and the 12 essential vital minerals of Schussler. Based on that you will find out what you should eat and what you should avoid eating. Of course you have to have a balanced diet, but it might not hurt if you take into consideration the mineral specific to your sign.